Monday, April 24 - at the Annual General Membership Meeting. Gabe Levin is a local fly-fishing guide and recently elected to the board of Friends of the North Fork and White Rivers. He lives on the banks of Crooked Creek, one of the major tributaries of the middle portion of the White River. 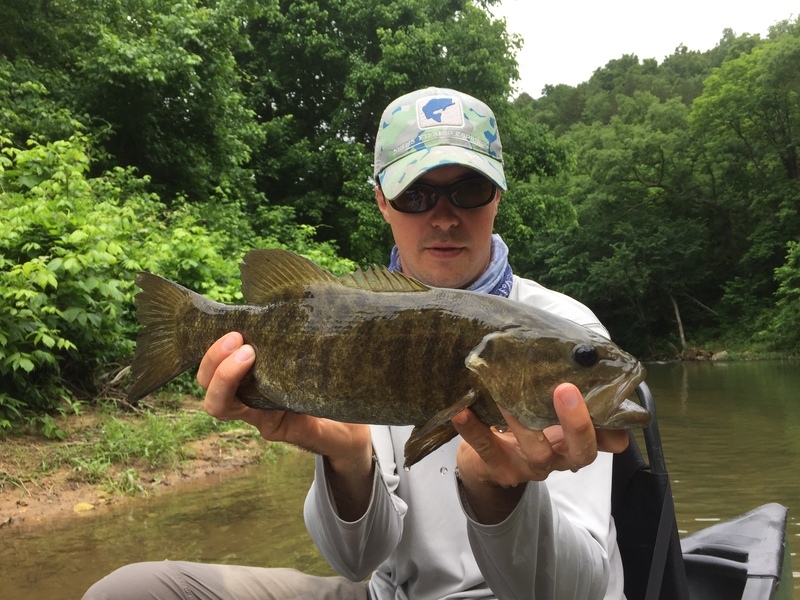 Growing up in the Ozarks and learning from his older brother Ben Levin, also a fishing guide and Friends board member, how to fish the many small, clear rivers of these hills, Gabe’s appreciation for smallmouth bass and their habitat is deeply rooted in his personal identity. Most of the Levin brothers’ guiding opportunities are in the form of trout fishing on the White River, which draws significant tourist attention with its riverside resorts and rentals, and its world famous cold-water fishery. Gabe considers himself extremely lucky to live in a yet unspoiled environment and to call the waters he has enjoyed since childhood his workplace. He hopes that through his work as a fishing guide, he might help people develop an appreciation for the clean watersheds that healthy fisheries depend on. Gabe sees Friends of the Rivers as an opportunity to get more directly involved in the work of conserving our valuable aquatic resources. For example, Gabe and his brother Ben help Friends of the Rivers organize an annual Crooked Creek cleanup float event that removes solid waste from the stream and raises awareness of threats to the stream. Gabe also is part of an ongoing Friends initiative to help establish regular and accurate collection of data on Crooked Creek water quality.